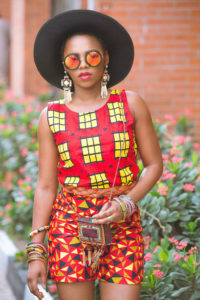 Born Chidinma Ekile on May 2, 1991, popularly known as Chidinma, is an energetic Nigerian singer and songwriter who rose to fame after emerging winner of the MTN Project Fame West Africa Season 3. Chidinma is a versatile singer with musical genres of Afro-pop, pop and R&B. She became the first female musician to peak at number 1 on the MTV Base Official Naija Top 10 chart. Ms Kedike as fondly called is a beautiful songstress with an amazing vocals to compliment. Even though she’s of average height, Chidinma has been a music sensation both on stage and off stage thrilling with electrifying performances. Lets get to know more about Chidinma Ekile in full details. Chidinma was born in Ketu, Kosofe, Lagos state to her parents; father, Hillary Ekile and mother, Martha Ekile. She’s originally from Imo state part of Nigeria and she’s the sixth child in a family of seven children. She had her primary school education at Ketu before relocating to Ikorodu with her family where she had her secondary school education at Livingstone model college. She proceeded to University of Lagos to study Sociology. Chidinma who started singing at the age of 6, became part of her church’s choir at the age of 10. She worked as a business promoter in Lagos before competing at the Project Fame West Africa season 3 which she eventually won with a cash prize of 2. 5 million naira, a 2011 Toyota RAV4 and an album deal. She started to work on her self titled album ‘Chidinma’ which features guest appearances from the likes of Sound Sultan, Tha Suspect, Olamide and Muna. Some of the notable producer on the album include Cobhams Asuquo, Tee-Y Mix, Wazbeat and Oscar Herman Ackah. She released two singles ‘Jankoliko’ featuring Sound Sultan and ‘Carry Go’ from the album on February 2, 2011. Her third album single ‘Kedike’ was released on October 11, 2011. The song was accompanied with a music video directed by Clarence Peters with a guest appearance from Dammy Krane who played Chidinma’s love interest. After her first album, Chidinma dished out another record breaking single ‘Emi Ni Baller’ which further brought her limelight. On the song, she featured her label mates Illbliss and Tha Suspect. She had also go on to drop a lot of hit singles such as Kite, Oh Baby featuring Flavour Nabania, For You, Melody, Special Feeling, to mention a few. Chidinma is not married and does not have a husband. Although, she has been rumored to be dating pop star, Kizz daniel and also high-life singer Flavour, Dammy Krane. As at November 2018, she bought a new house for her mum as her 60th birthday gift. Best Op/R&B Artist of the Year, Female Artist of the Year, Best Music Video fo the Year, Best Collaboration at 2014 Nigeria Entertainment Awards. Chidnma signed an endorsement deal with MTN Nigeria in 2013. Chdinma Ekile net worth is estimated at a sum of $1 million dollars.